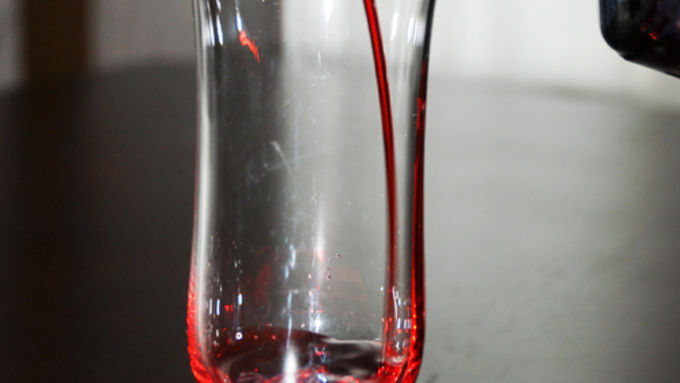 Add 1 tablespoon raspberry syrup to a clean, clear 8 oz glass. (A slender parfait glass works well). 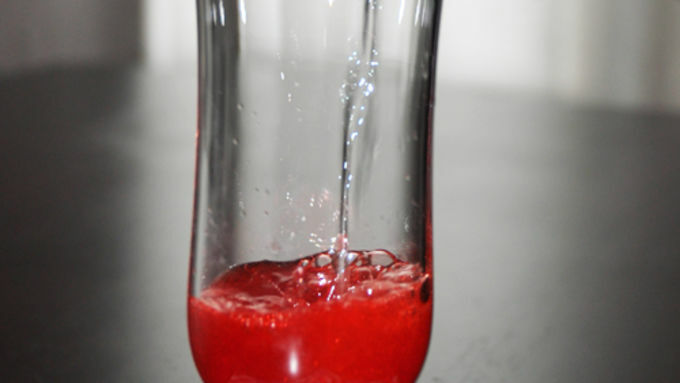 Slowly add 1/2 cup cold sparkling water (or other clear carbonated water or soda). Add crushed ice, if desired. Top with whipped cream and blueberries. Garnish with a stir stick strung with blueberries and serve immediately. Every heart beats true 'neath the red, white and blue... George Cohan wrote that many moons ago, but this time of year we all take a page from his lyric notebook and trumpet the colors in creative ways. My 4th of July celebrations include adults and kids, so I wanted a fun little libation we all could slurp with gusto. This is the perfect one to set our flags a-flutter. You astute refreshment experts out there will recognize this as a raspberry Italian soda -- sold at coffee houses around the country for big bucks. 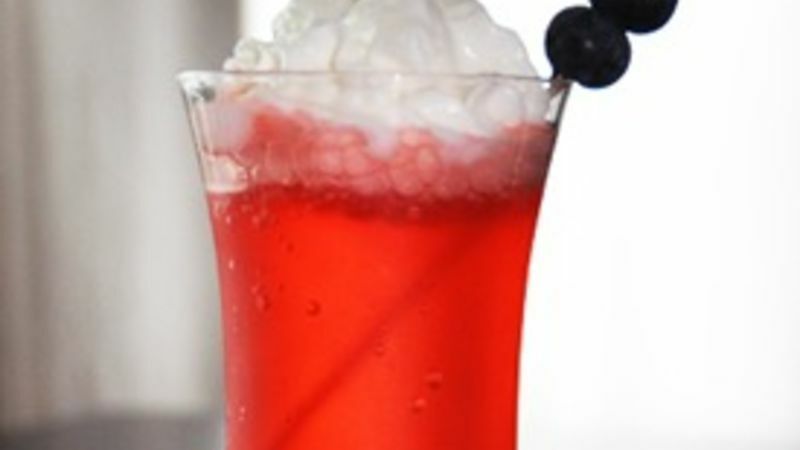 But since this is an American holiday (and, truthfully, this drink originated in the US anyway), we'll call it an American-Style Italian Soda, and we'll make it for pennies. This is sparkling, spirited drinkable fun at its best! The slender shape of a parfait glass works awesomely, but if you don't want to splurge on barware, cruise antique shops and second-hand stores to score cool little pieces like this on the cheap. For those who like creamy sodas, the stir-stick can be used to blend the ingredients before drinking. This drink is very forgiving. Mix it up and try it in different combos and ratios. Here's how versatile it can be: Grown-ups: Want to add some doodle to your dandy? 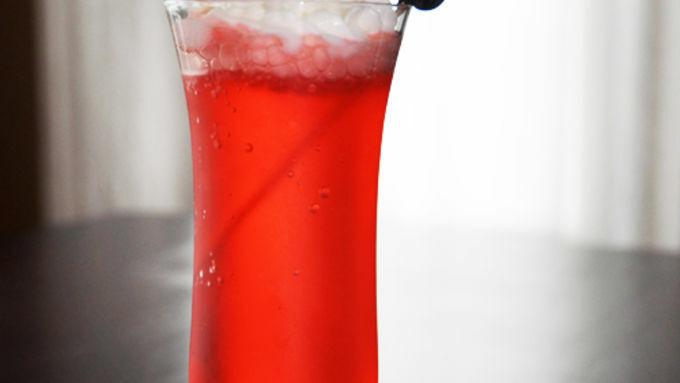 Substitute a shot of raspberry (or vanilla) vodka for the raspberry syrup. Don't like raspberry? Substitute any other flavored syrup that lights your fireworks. Barter the bubbly: club soda, sparkling water, ginger ale or even lemon-lime soda pop can be used. Choose whatever bubbles float your boat. Add ice if you'd like, don't if you won't. For smallish barware like ours, crushed ice works best. Less of a Good Thing: Remember, syrups and sodas are available sugar-free! Set up a soda bar and let your guests mix their own creations to their liking. Garnishes are half the fun, so offer lots! Outdoor party? Use plastic stemware for all the fun minus the "gotta be careful"ness.